After an indefinite "Coming Soon" period, the upgraded NCAA Football 12 Online Dynasty Website is now live. Among the significant improvements included in the new website are a Teams tab dedicated to showing the status of OD members (game result and time remaining in recruiting) and ESPN.com style design in displaying standings. 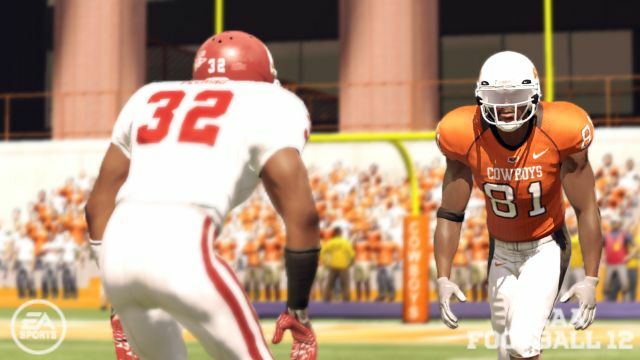 With the release of NCAA Football 12, many Online Dynasties fell victim to the "Transfer Failed" issue which helped end ODs and damper the enthusiasm surrounding numerous improvements to the mode, including Coaching Carousel. 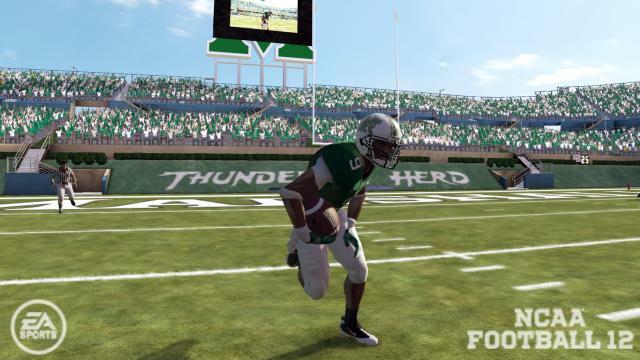 Rectifying the "Transfer Failed" issue has been a priority for the NCAA Football team in regards to both NCAA 12 and NCAA 13. 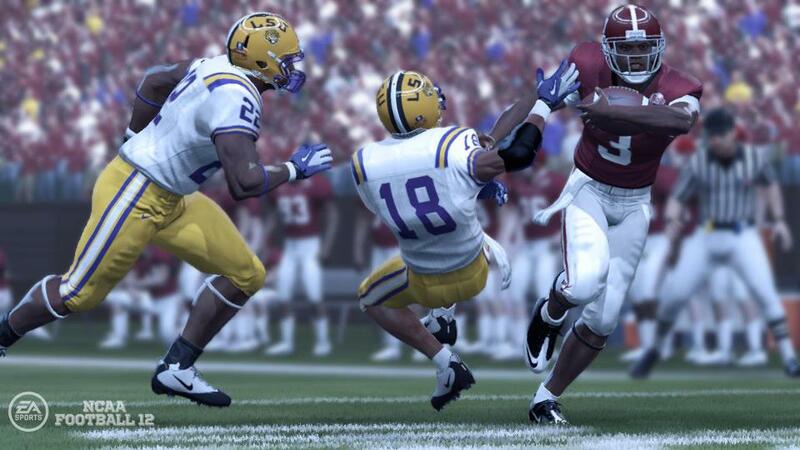 A now released server-side update will help alleviate additional "Transfer Failed" issues in NCAA Football 12. Currently, these "Transfer Failed" issues could be a result of a wide variety of issues making it difficult for the team to diagnose, even with details and information from the community. The cause of these transfer issues can be very random as, for example, some long file names were getting truncated, leading to the "Transfer Failed" message. 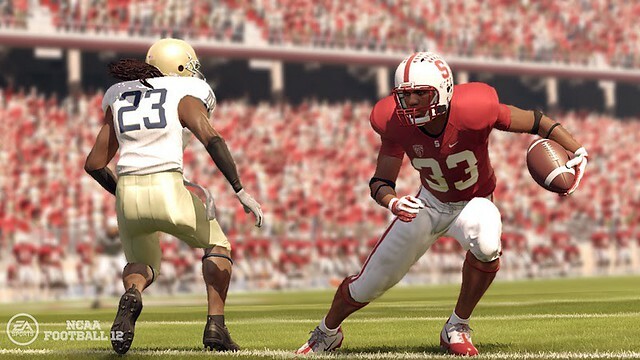 Heading into July, the dev team is working on a significantly proactive measure to prevent a repeat of the "Transfer Failed" issue in NCAA 13. As some of you may already know, Stat Box Stories is a great community site that uses NCAA Football 12, Madden NFL 12, NHL 12, and FIFA 12 to play games, record statistics, post video highlights, and tell the stories of games played every week. With Bowl Season beginning next Saturday, December 17th, Stat Box Stories is trying to rally some interested guest writers to the cause of trying to create statistical write-ups of all of the Bowl Games for this 2011-2012 season. 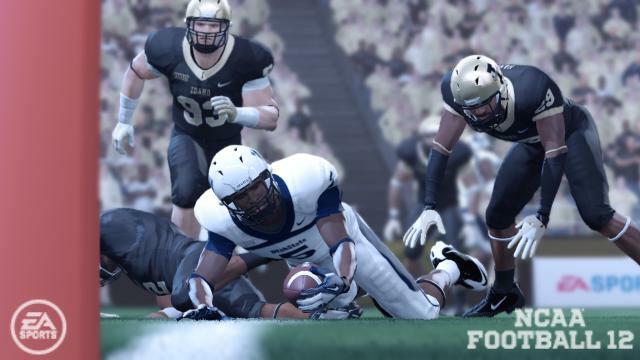 If you have yet to read a write-up over at the blog site, here is the most recent example of work done using NCAA Football 12: the Army-Navy Game. Here also is the link to the guide for guest writers--Write a Guest Story--to give you some idea of what is looked for from guest contributors. 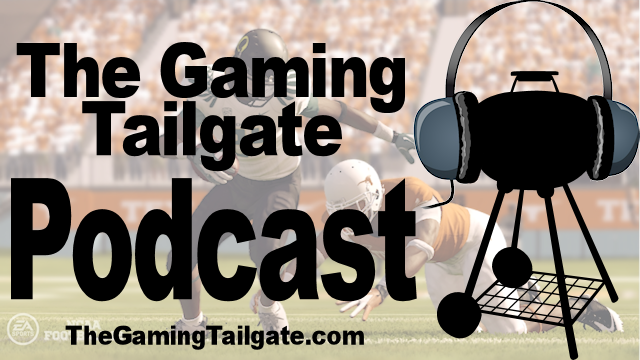 Our own psuexv here at The Gaming Tailgate actually contributed the first guest story for the site this week, which you can read here: New York Islanders at Pittsburgh Penguins in NHL 12. Each year, NCAA Football playbook designer Anthony White strives to make each team's playbook accurately represent their system and play style. Leading up to the release of NCAA Football each year, Anthony adds in actual plays run by teams that can only be found in their specific playbooks. With NCAA Football 12 adding Custom Playbooks, users can now add these team specific plays to their custom playbook. Thanks to playbook guru Anthony White & producer Ben Haumiller, NCAA Football fans now have the full list of Team Specific Plays in NCAA Football 12. Of the Team Specific Plays in the game, which ones are your favorites to use? Are there any unique plays that your school is known for running and you would like to see in the game? If so, describe it in the comments or post a video of the play. 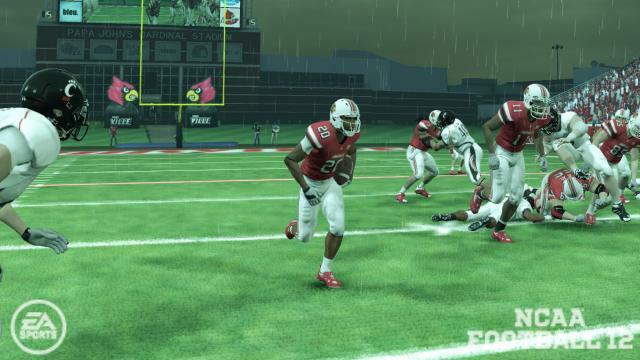 Conversely, are there any plays from the last-gen (PS2 & X-Box) versions of NCAA Football you would like to see return? Post them in this thread, started courtesy of community member xMrHitStickx904. EA SPORTS has posted a new blog detailing the contents of Game Update #4, expected to be available on Tuesday, November 8. UPDATE - 11/8: The patch is now available on PS3 and 360. Share your thoughts on the patch in the comments below. The update will address online desync issues, Road to Glory play-calling, and Online Dynasty transfer fail issues. Update: Patch #3 is now available for both Playstation 3 and Xbox 360. Additionally, the development team has noted that they are currently working on Patch #4 and will provide details at a later date. From the NCAA Football development team - Title Update #3 addressing the "No Huddle" issue has made it through first party certification and will be available Friday (10/7). This update was rushed out to get [the no-huddle issue corrected] as quickly as possible, so the "No Huddle" is the only thing addressed. The team is also still working on the transfer fail issues and tracking down the specific issues based on your feedback. Thanks again for taking the time to provide as much information as possible. 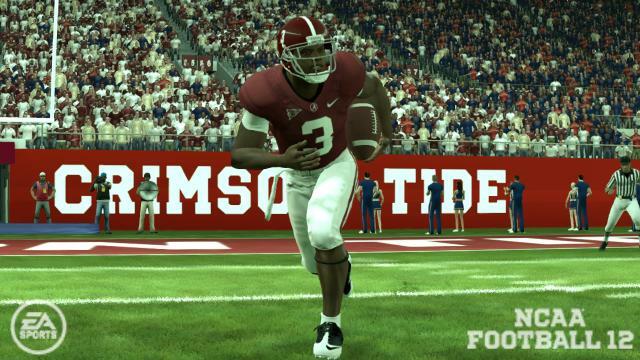 The second patch for NCAA Football 12 is now available on both the Playstation 3 and X-Box 360. The updated patch notes have been released by EA in a new blog. Continue below after the break for the details of what is included in the patch. UPDATE - Info on title update #3 and "Transfer Failed" issues can be found here. 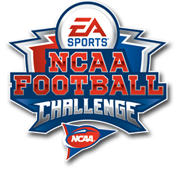 The seventh year of the EA SPORTS NCAA Football Challenge is underway. At each stop, gamers and fans will have a chance to play the newest edition of the EA SPORTS NCAA Football franchise, and win cool prizes from NCAA Football, EA SPORTS, Reese’s® Peanut Butter Cups and Best Buy! Best of all - winners from the campus tournaments will earn their spot on a trip to the 2012 Rose Bowl Game presented by VIZIO to compete for the national title and grand prize of $10,000! 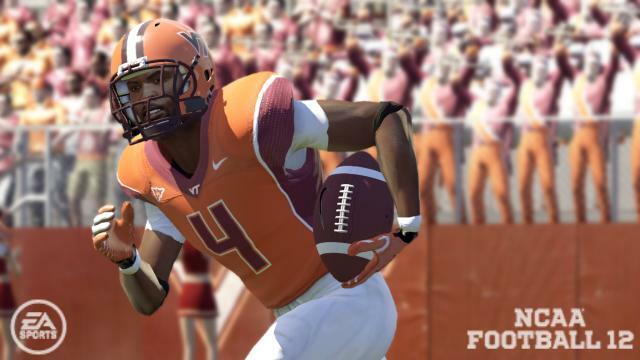 Mid-day Wednesday, the EA SPORTS NCAA Football Twitter account announced two Online Dynasty related fixes they were able to address via server side updates. 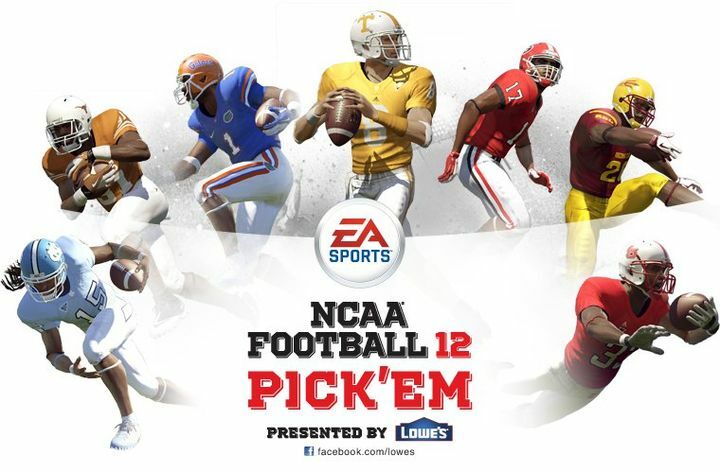 EA SPORTS and Lowe's have teamed up for the NCAA Football 12 Pick 'Em on Facebook. Each week, pick the winner of ten match-ups to win prizes such as copies of NCAA Football 12, gaming consoles, and more. New match-ups are listed each Monday at 12 PM ET. Week one match-ups are now available for picks. Be sure to watch The Making of NCAA Football 12, a four-part series on the development of NCAA Football 12 airing on ESPNU. The show will take you behind-the-scenes and into the studio as the EA SPORTS team races to finish it's perennial college football powerhouse. 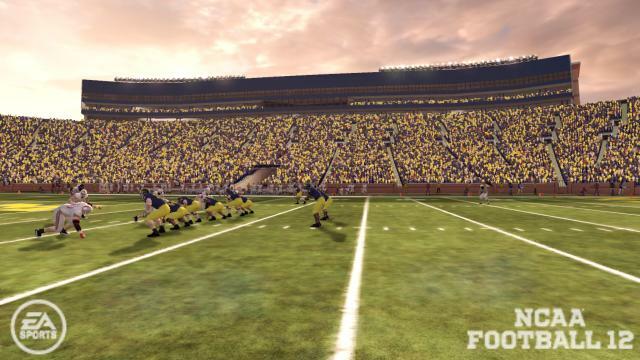 On Thursday, Dead Pixel Live interviewed NCAA Football producer Ben Haumiller to discuss what goes into making the game, game features, patch info and more. 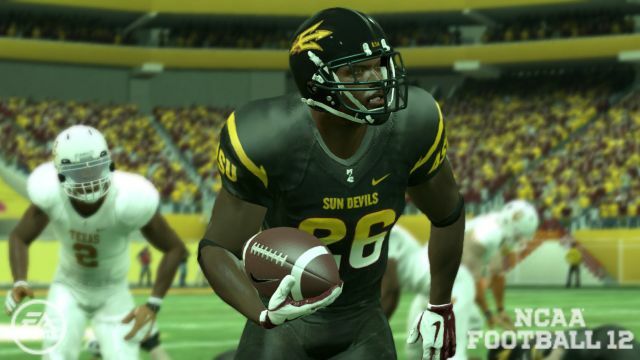 Thanks to the hard work of the community, NCAA Football 12 rosters are now available. As always, roster files are meant to be distributed freely and never paid for. Spread the word about FREE rosters to all of your friends and fellow NCAA Football community members. 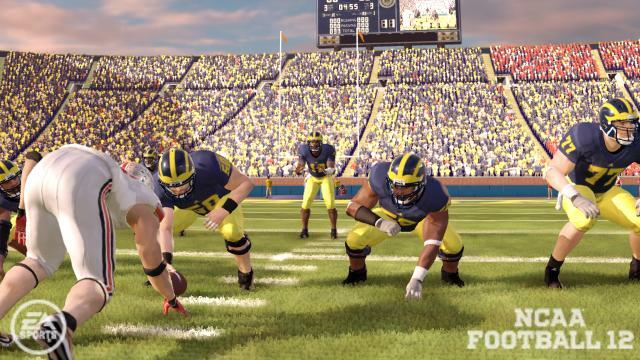 In this press release from EA, the company has posted early record-setting sales numbers for NCAA Football 12. 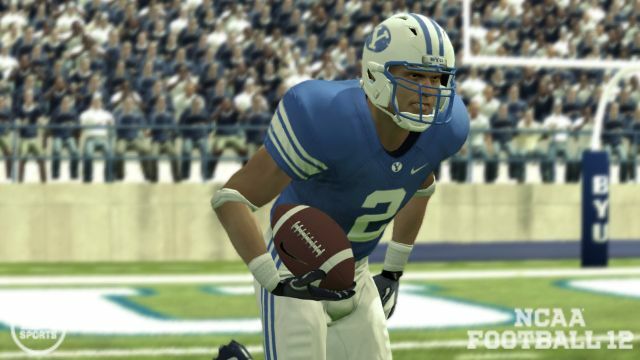 Electronic Arts, the developers behind the classic football videogame series, the latest of which is NCAA Football 12, will play Xbox LIVE Gold members in a Game with Developers event. They'll be online Thursday, July 21, from 7-10 PM ET (4-7 PM PT) so don your shoulder pads and get in a few practice games while you can.